A few days ago I try to activate Windows 7, from the option “Change Product Key” with the original key that brings them in properties of the system. But clicking on the option does not open any window and no error. Today, on Elochi-blog, I am going to show you how to activate windows 7 using cmd. You will have the necessary information to activate genuine Windows 7 without the need to download any third party application. This happens because some Windows Cracks block this option; to be able to activate the Operating System we will perform some procedures. • Read: How are Brains Different from Computers? Windows can be activated using cmd. Let’s know the procedures of how to activate windows 7 using cmd. In the lower left corner appears "Installed updates" click on it and then delete the line with only this code"KB971033" by pressing the uninstall button. NOTE: (code must start with KB and any other six digits), the numbers differs! Step 2: Execute cmd.exe as administrator. In the part of "License status:" it appears as "notification" or something similar. Step 4: Slmgr -upk (uninstall the serial currently installed in the system and return to TRIAL status). Step 5: Slmgr -rearm (resets license status and activation in the system). Now Restart Your Device (very important, do not forget to do it before the next steps). When restarting the pc in step 5 you will get a message that windows are not activated, just ignore it. Step 6: Slmgr -ipk FJGCP-4DFJD-GJY49-VJBQ7-HYRR2 serial OEM will appear key was installed correctly. Step 7: Slmgr -xpr (shows the expiration of the current license of the system or if this is permanently activated). Step 8: Slmgr -ato (activates windows and the serial with the Microsoft servers). 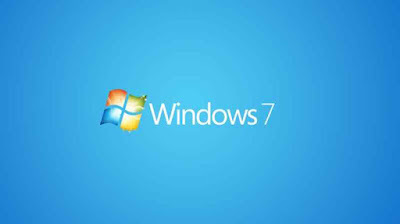 Restart your device/system again, and voila you have windows 7 genuine. NOTE: example when writing in cmd, writing slmgr -ato from the r to the script ato, there is a space, always keep note of it. Windows activation is part of the Microsoft "Windows Product Activation" process. The activation differs from the installation process in that it requires a product code. It is also different from the post-installation registry. Instead, the goal of Windows activation is to establish a link between a licensed copy of Windows and a specific computer system. As it was possible with earlier versions of the Windows/operating system. Both the serial number of the hard disk and the network adapter of the media control address access to form a unique identity for your equipment. Two computers should not have the same hardware signature. When you try to install the same copy of Operating System/Windows on more than one machine and then try to activate it over the Internet or by phone, the activation will fail. Unlike Windows XP and Vista, not activating Windows 7 leaves you with an annoying but somewhat usable system. According to a post from the Microsoft developer blog in "Microsoft Developer Network,"
If you choose not to activate Windows 7 during installation, a message "Activate Windows online now" will appear in the system tray. If you do not activate, then you will see an "Activate now" message every day from day four till day 27. From day 27 till day 30, you will get the "Activate now" message option every four hours until the 30th day. After 30 days, you will get the option "Activate now" every hour, along with a warning that your version of Windows is not original when you open the Control Panel. Furthermore, Windows 7 does not perform any system updates after the grace period. Finally, Windows will automatically activate with the black wallpaper image every hour, even after you change your preference again. This behavior continues until you successfully activate the Windows 7. Bill Gates complained about the copy of his company's Altair Basic software by computer fans. This rampant robbery, according to Gates, made all the hard work done by him and his company worth less than two dollars per hour. Decades later, the company of Gates, Microsoft, established the activation of the product. Recommended for you that you can use activator for Windows 10 if you are using the Windows 10 operating system. The validity based on control procedures where the copying and distribution of its operating system and its application software are much more difficult for copiers and pirates. So, try out this practical guide today on how to activate windows 7 using cmd and use genuine windows 7 for better system services. Thanks for coming, really glad you are here. hope to see you again. thanks for sharing ,this Windows 7 Using also different from the post-installation registry. that windows 7 prefer good condition for using . it is very useful and important.